What a fantastic colourful card Paula - I totally get that sentiment. lol. Juana is going to adore this card, how sweet of you to think of her. 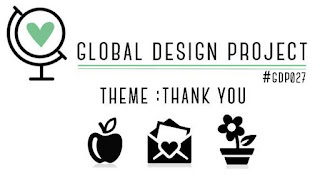 I am loving that we get to think of ones that play along with the Global Design Project and support us - it is so much fun! Yep Paula I think you're spot on! Juana is going to love this card. It's so colourful just like her designs (which I also adore)! My goodness, YES Juan came from no where to now WOW with every card she creates. Your card is perfect and a great card for a cardmaker. 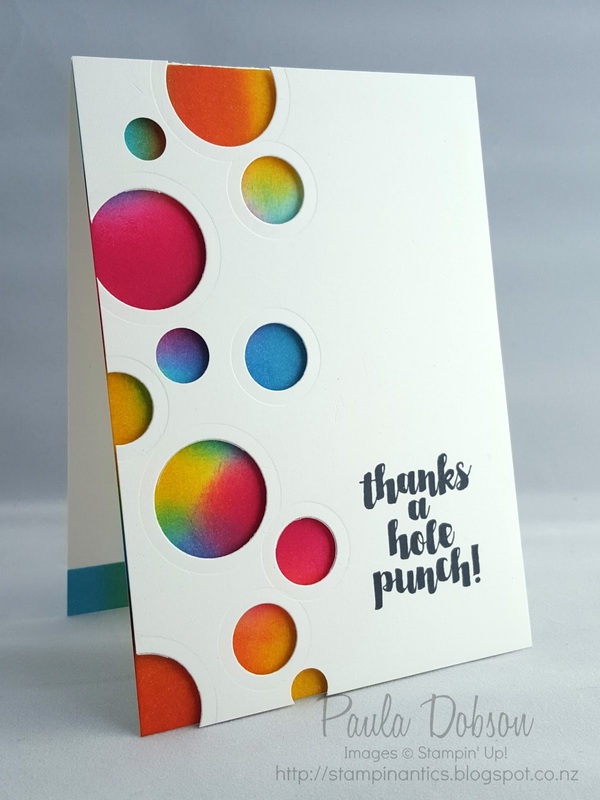 Paula - I'm crazy over all these wonderfully colorful circles! This is a super-fun card! I love it. What a fun card! I love your rainbow sponging down the side. What a fun card Paula ! 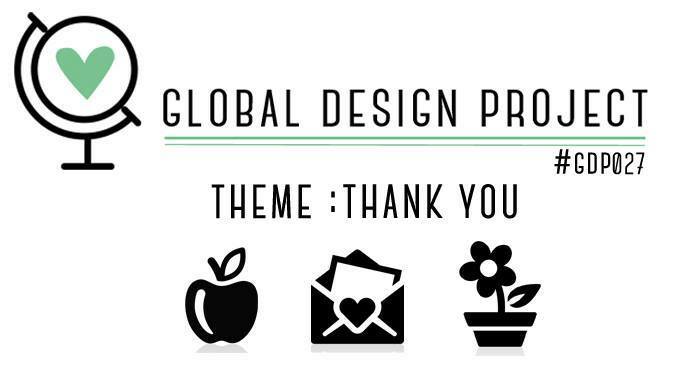 You did an amazing job ! LOVE THIS CARD! And I am casing it! Perfect addition to my hostess thank you! What a fun idea - love the bright colors! What a lucky girl Juana is to receive such a fantastic card. 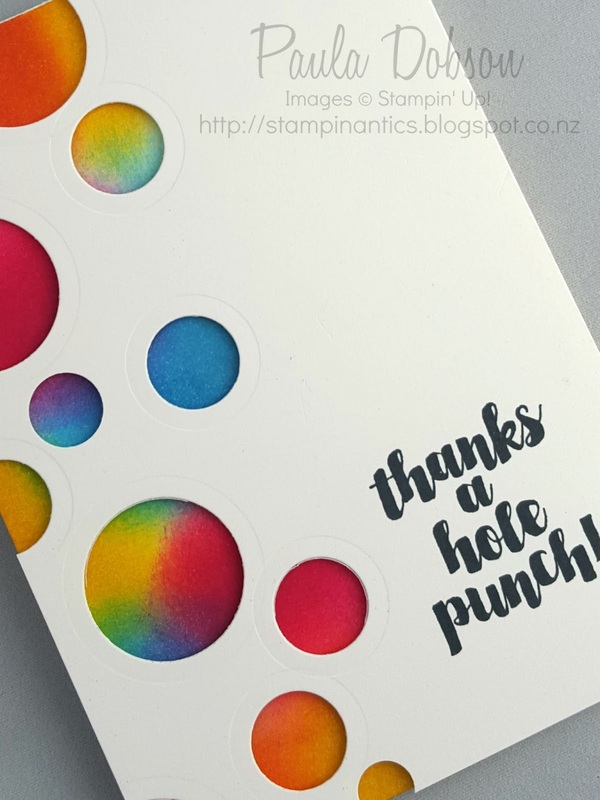 I love the spooned background and you are so clever to punch the holes and match it with that sentiment, love it! I love your colorful card, Paula! OMG!! This is fantastic!!! What a wonderful idea to sponge the background like that!! Absolutely love this!! Paula! amazing!!! I love it! You are very welcome Juana. Just keep all your stamping goodness going. You are a true talent and I love seeing your creations too!